My father became an Eagle Scout when he was 14 years old. As part of the work towards this, he had to buy the ingredients for and cook a meal over a campfire for his troop. I actually have the ingredient list in his handwriting, as well as the note he wrote the troop leader verifying that he bought these ingredients himself and did the cooking himself. I don’t know the result of the stew – it was probably at least edible based on the ingredient list – but the result of his work and diligence was to be awarded the Eagle Scout designation. In other words, my grandmother did not help him do it. 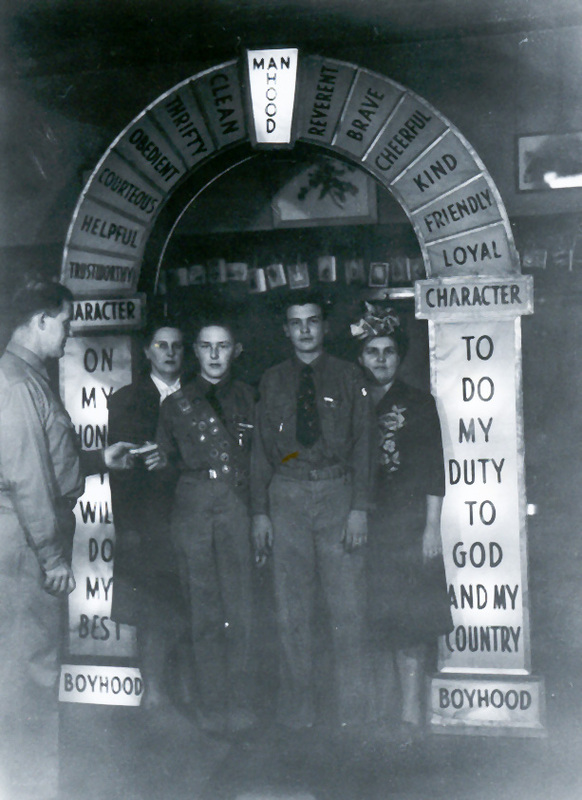 I understand from a current troop leader that this is still a requirement for the Eagle Scouts. I think it’s a good one – cooking basic meals are a good skill for anyone to have, man or woman. It doesn’t have to be fancy, but as with anything in life, practice helps mastery of the skill. I love this picture of my father getting his Eagle Scout. The board around him and my grandmother (on the right) is a bit tacky, but the values are still great for today. Word for tomorrow – DISTINCT. If you prefer to work ahead, see the list for the week under “A Word A Day”.